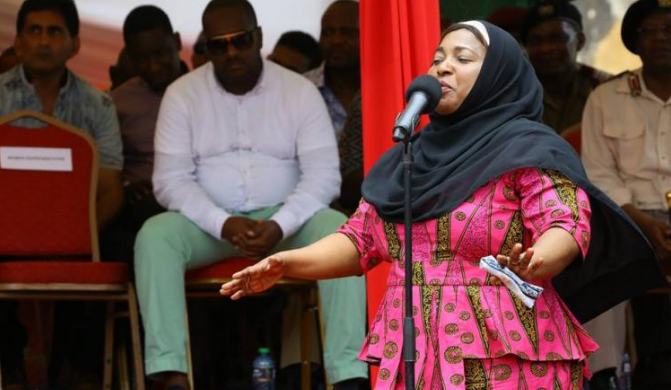 Mombasa County Women Rep Mishi Mboko has declared that the newly launched Jubilee Party will not beat CORD in the 2017 general election. Mboko’s sentiments echoed ODM Party leader Raila Odinga, who accused Jubilee Party of killing other political parties. Mishi Mboko said CORD will have support in all regions including Jubilee strongholds like Rift Valley. “The super alliance will lock in Western, Nyanza, Coast, Eastern, Nairobi and parts of Rift Valley and with that, Jubilee will have no chance,” said Mboko. Raila said that the expansion of the CORD coalition will provide the necessary support to oust Jubilee. “Unlike Jubilee, which is killing parties, we are broadening our coalition to bring in as many people as we can. We will then negotiate among ourselves who is the best candidate to defeat Jubilee. We want all Cord affiliate parties to strengthen themselves then we can bring that support into one basket,” said Raila. He also said that he will not impose himself on the electorate. “This is not about me. It is about getting the best candidate to lead a team that will make Uhuru Kenyatta a one-term president,” added Raila.